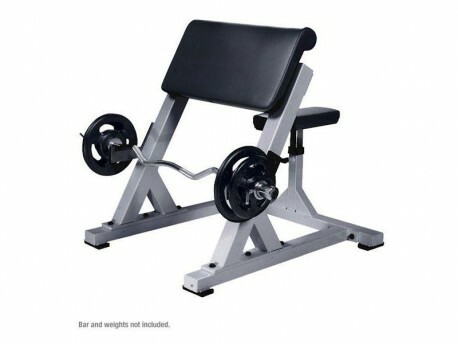 York's preacher curl bench is a big step above an economy curl station. The polished chrome bar holders offer excellent wear protection. The seat and arm pads are sturdy and ideally shaped for heavy curling. And it's heavy, which means it feels extremely solid and stable. The thick foam padding will not bottom out on you, and the thick upholstery will not tear open. The 6-position seat is fully height adjustable to accommodate all size users. The deep bar rests give you plenty of room to re-rack the bar, unlike some units that have less space and open the possibility of you dropping the bar between the rests and frame. That won't happen here! 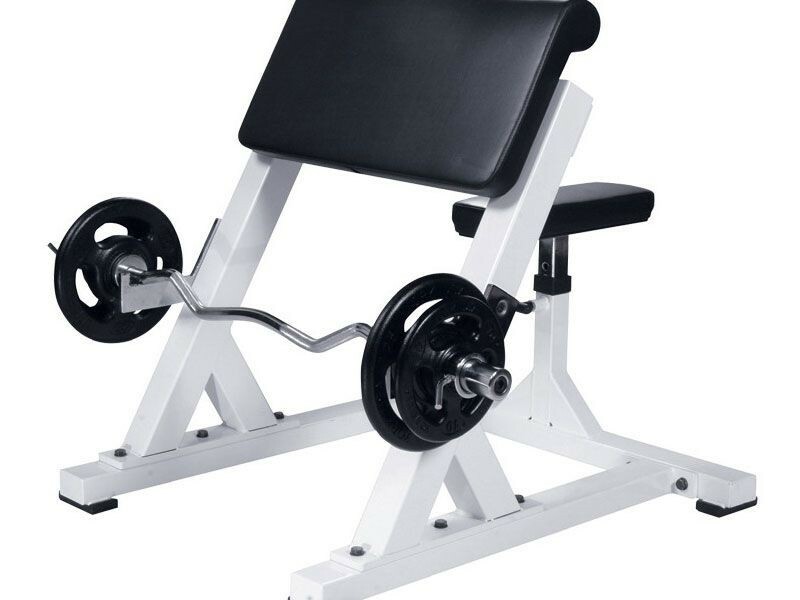 Find out why so many gym owners opt for this preacher curl bench!